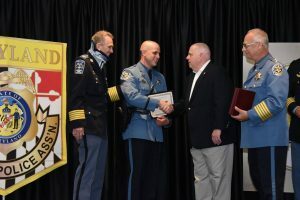 The Washington County Sheriff’s Office would like to congratulation two of its own for honors received from the Maryland Sheriff’s Association this past week. 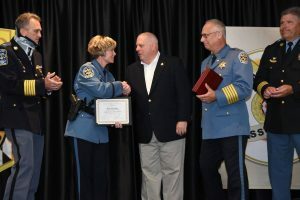 The awards ceremony was held on Monday September 11, during the Maryland Chiefs of Police Association and Maryland Sheriff’s Association Conference, in Ocean City, MD. DFC Kyle Snodderly was awarded Deputy of the Year for Traffic Safety and DFC Carly Hose was awarded Deputy of the Year for Crime Prevention.